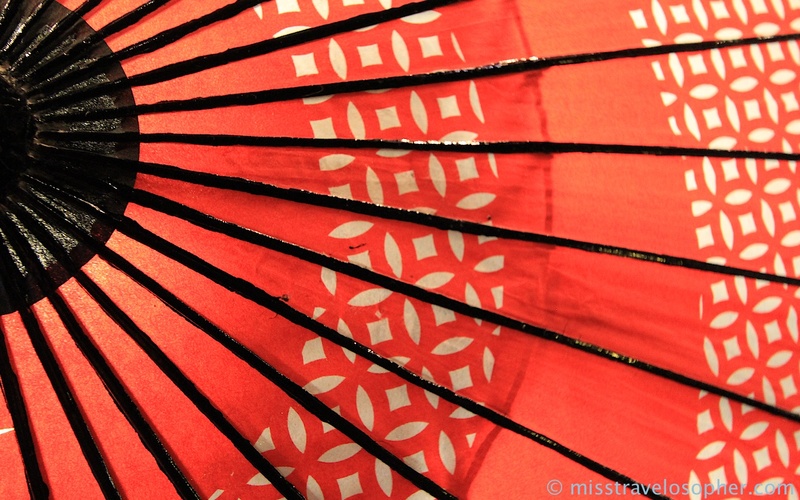 I’ve never bumped into any geisha or maiko in all my visits to Kyoto and who knows? On my 4th visit, I finally spotted 4!… Yes, 4! In Kyoto, a geisha is also known as a geiko (芸子). However a geisha should not be confused with a maiko (舞子), an apprentice geisha. Confusing? 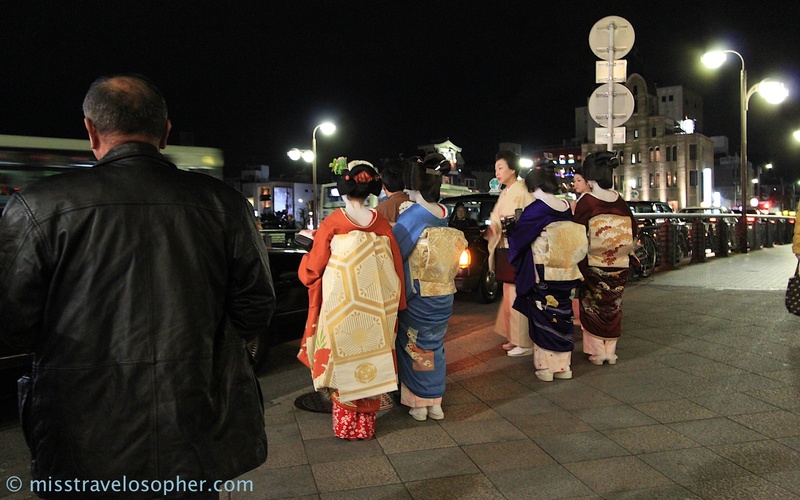 There are differences in the dressing between a maiko and a geisha. 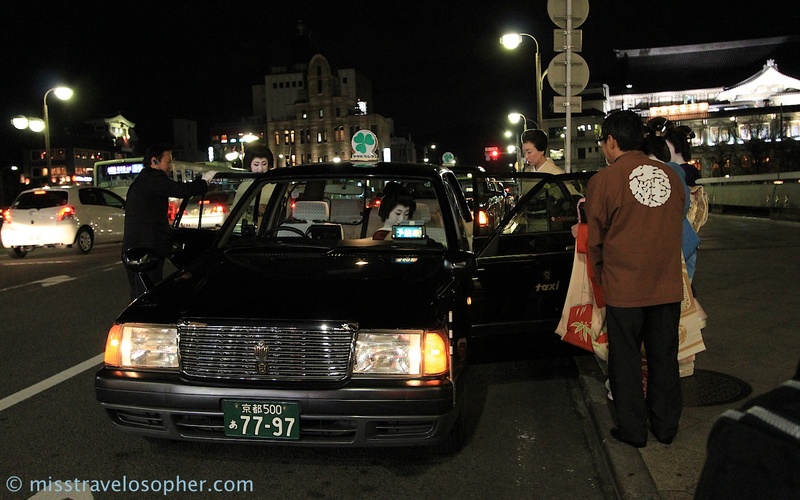 In the above photo, the lady dressed in the bright red kimono is a maiko. A maiko usually adorns more elaborate ‘kanzashi (簪)’ (hair ornaments used in traditional Japanese hairstyle), and wears brightly coloured kimono with extravagant obi. This maiko had an elegant gold coloured obi which dangled all the way to her calves. These artisans were spotted just outside Pontocho (先斗町), which is an atmospheric narrow alley lined with many eateries, geisha houses and bars. 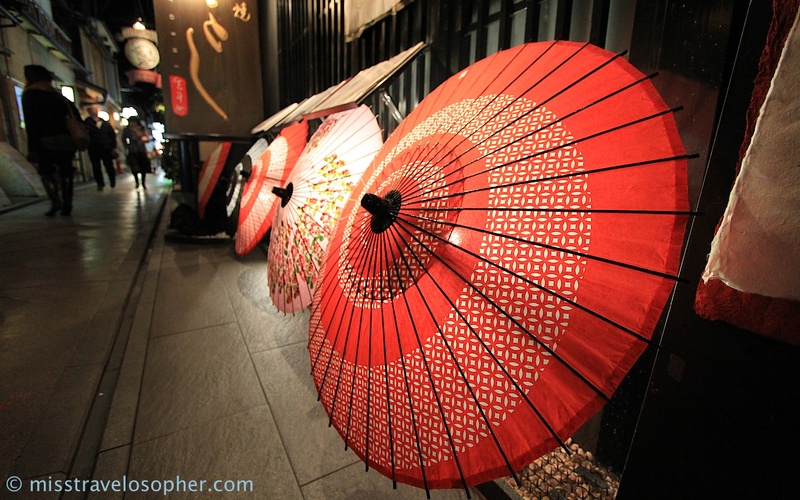 Pontocho, Gion is the place to be if you want to spot some geisha or maiko. If you are lucky, you might bump into one or two! However, don’t be disappointed if you don’t see any, as it is not easy to spot one. Well, admittedly we shouldn’t have gone all tourist paparazzi trigger happy. However, the adrenalin rush and excitement kicked in and the next things that happened were all in a whirr. 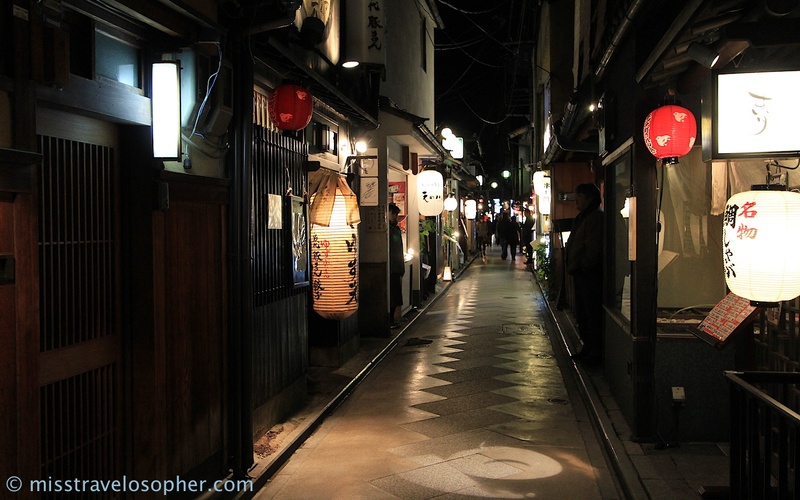 While you await your chance encounter with a geisha or two, Pontocho is a great place for a leisure stroll down the preserved cobbled streets. 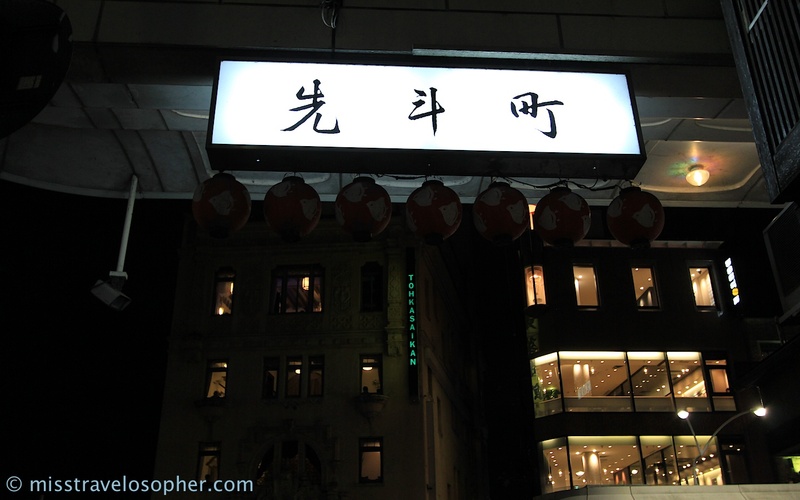 It is a great place for dinner too, however it may be worth noting that some restaurants may be rather pricey. Some restaurants which are on the Kamogawa River side offer riverside patio dining as well. 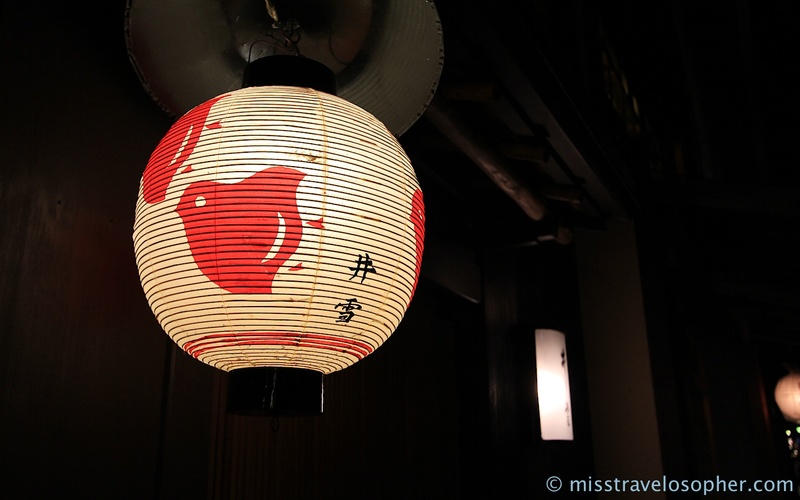 I love the traditional beauty and old world charm which Kyoto evokes. Pontocho is located in the Gion district, and is just a short walk from the busy shopping area on Shijo-dori. From the Hankyu Line, alight at Kawaramachi Station. Alternatively, alight at Shijo Station on the Keihan Line. Great post and cool blog!